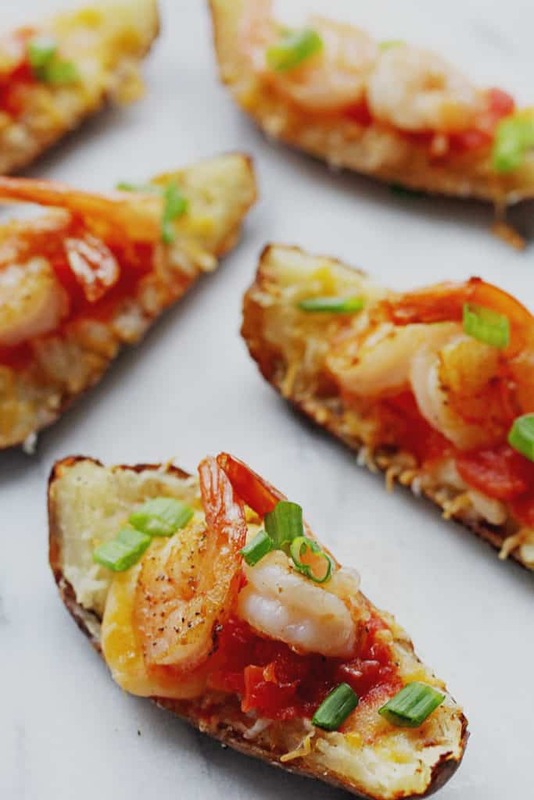 Shrimp Nacho Potato Skins – potato skins and nachos are combined with succulent shrimp to create a fusion of the best game day food ever! I’m sharing these Shrimp Nacho Potato Skins. 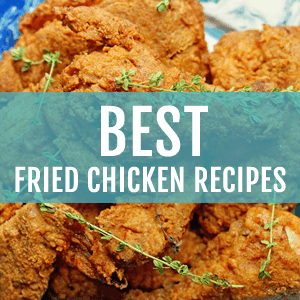 These are perfect for the Super Bowl or any game day or special event as an appetizer. Watching football really isn’t my cup of tea, but I am good at eating football treats, like these. Potato Skins are the perfect game day dish to have on site at your party this weekend. These Shrimp Nacho Potato Skins are the ultimate potato skin ever made! They are amazing and so simple to create. I like to think of them as comfort food served in a potato boat. You might eat a few too many but heck, it’s the Super Bowl so enjoy yourself and leave the guilt for the next day. I got the idea for this recipe from an order of shrimp nachos I recently had at a restaurant. I was totally blown away. It is probably because I adore shrimp on any and everything so nachos seemed like a natural fit in my book. I happen to think these are revolutionary with the wonderful nacho toppings and perfectly sauteed shrimp on crisp cheesy potato skins. Doesn’t that sound incredible? If you like these Shrimp Nacho Potato Skins, you might like some of my other game day recipes. Shrimp Nacho Potato Skins - potato skins and nachos are combined with succulent shrimp to create a fusion of the best game day food ever! Heat oven to 425 degree F. Thoroughly scrub potatoes; pat dry. Rub with cooking oil, shortening, butter, or margarine; prick potatoes with a fork. Bake for 40 to 60 minutes or till tender. (Or, microwave on high for 15 to 20 minutes or till tender.) Cut potatoes lengthwise into quarters. 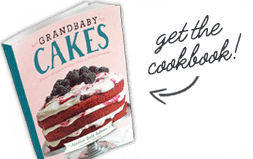 Scoop out the pulp, leaving 1/4-inch-thick shells. Reserve the pulp for mashed potatoes or another use. Brush both sides of the potato pieces with the 1/4 cup butter or margarine. Sprinkle the insides with seasoned salt and ground red pepper. Place potato pieces, skin sides up, on the unheated rack of a broiler pan. Broil 3 to 4 inches from heat for 3 minutes. While potatoes broil, sauteed 3/4 of a pound of shrimp in a couple tablespoons of olive oil and seasoned with salt and pepper and a bit of taco seasoning to taste. Turn potato pieces skin sides down. Sprinkle with shredded cheese. Broil 2 minutes more. Arrange the potato pieces on a heated serving platter. Top with shrimp and serve with desired toppers. Makes 24 servings. Wow this is such a sophisticated way to make potato skins! I’ll be using this at our next gathering! Indeed and so delish too! Yes! These look so good and have one of my favorite things in them, shrimp. What a nice idea! I would devour a whole batch of them! 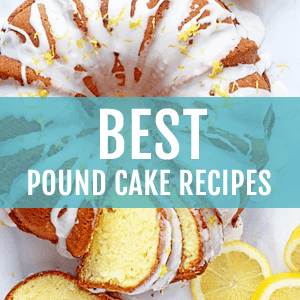 This is a genius recipe. Shrimp and nachos and potato skins. I LOVE! Two of my favorite foods in a wonderful combo. I love potatoes! And I love shrimp! What a creative and simple idea. 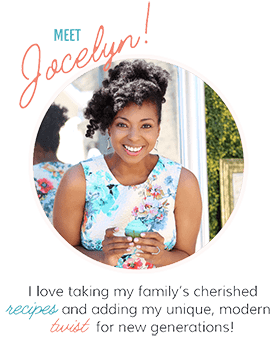 Jocelyn, I don’t even like shrimp, but I think I do now! I mean, how can I not after looking at these babies?!! I think this will make anyone like shrimp? The shrimp looks so good, Jocelyn! These are just awesome little appetizers. Love the idea of filling a potato skin with nacho toppings and shrimp. GIMME! I love these unique potato skins! 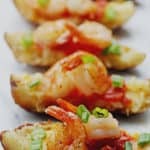 I’m not usually a big fan of potato skins but if you pile shrimp on top, I’m all in! Oh how fabulous! Perfect for game day! These are so fun! What a creative idea. J, I love shrimp!!! and you basically combined two of the most fabulous super bowl foods: potato skins and nachos!!! love these girl!!! Thanks boo! I love those two too! 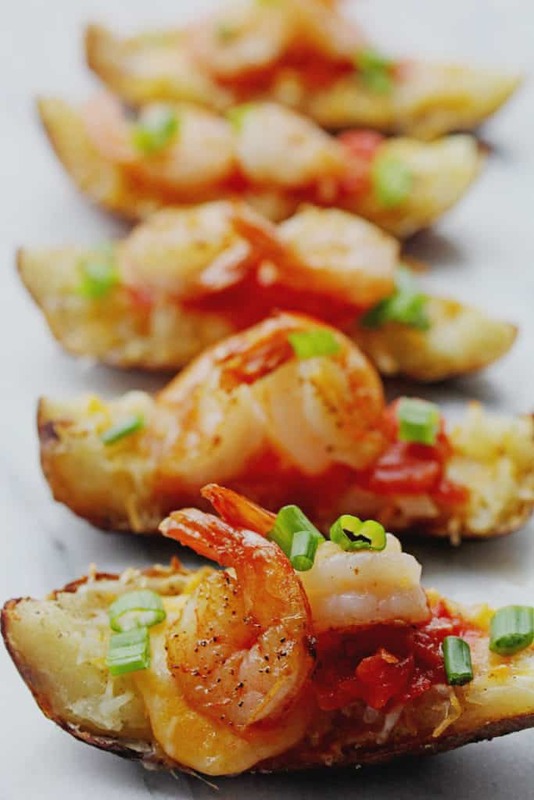 Oh my gosh, shrimp on potato skins?? What a great idea!! Pinned! They are pretty awesome together! These sound NAUGHTY. I like naughty. Haha, I’m also REALLY good at eating football food — I mean, who’s really there for the game?? These look amazing! Shut the front door! These are all mine and thank you for making these shrimp naco potato skins, J! So beautiful…. This is a really great appetizer idea! Yep I am going through a strong shrimp phase right now! This is what I want to eat at my super bowl party!